Korathota Raja Maha Viharaya is located Kaduwela Homagama bus route. The location is actualy between Kaduwela junction and Athurugiriya. If you are coming from Kaduwela, take Awissawella road from the junction. You have to go around 1 km from that road and turn right and take route towards the Aturugiruia. Temple is around 3 km from that point and its located by year left hand side. If you are coming from the Athurigiriaya side, take road towards the Millenium City from the Clock tower. There you have to go more than 5 km, temple will be in your right hand side. If you can't find the place, you can get help from villages. You can park your vehicles inside the temple ground, close to the main entrance. According to the historical information provided over there, this temple was started in year 01 AD. This temple has two important historical inscriptions, which says this temple was offer to Maha Sanga by a daughter of Mahachula Mahatissa. 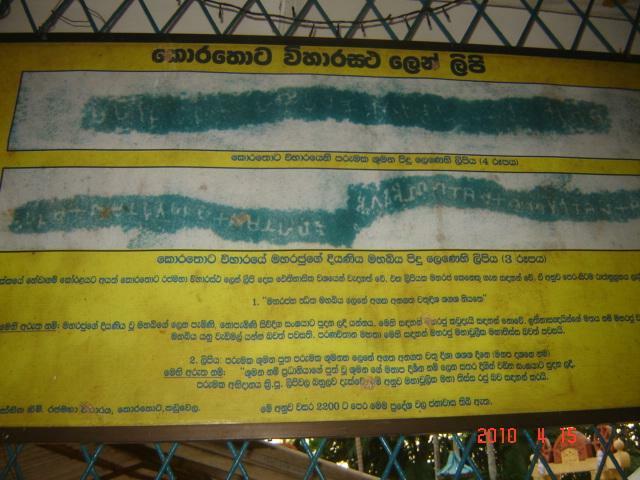 Second one says one cave offered to Maha Sanga by a provincial leader call Sumana. 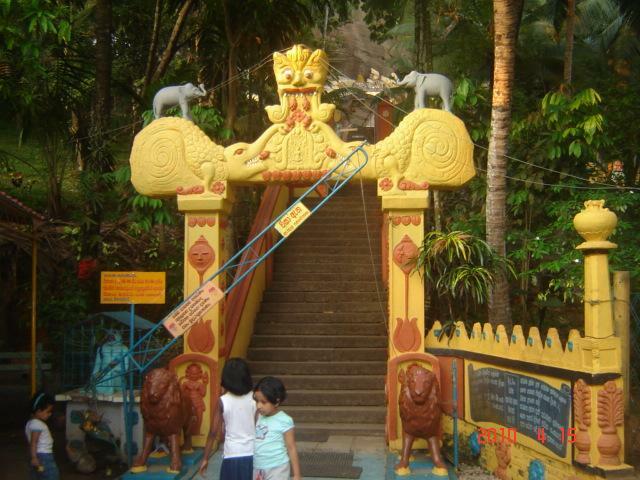 King Walagamba also use this place as a hiding place before he chased away the South Indian invaders. Best Time to visit the Korathota temple is in the eveing. Usually the cave temple is open up to 7 pm.At the entrance level you can see different types of birds, some are in the nests and some are moving freely. We saw a peacock, large number of chicken families, some and a turkey family. You need to climb less than fifty steps from this level to reach the cave temple. Climbing is not that difficult because steps are divided in to two different sections and they are made with cement. The path if under a tree shade also. 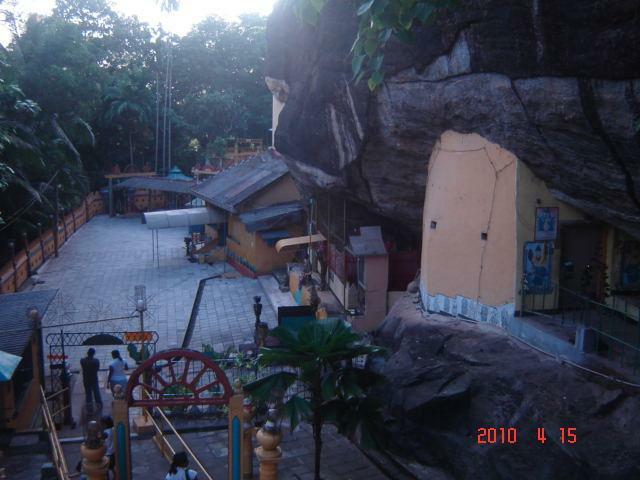 There are around six caves in Korathota temple. 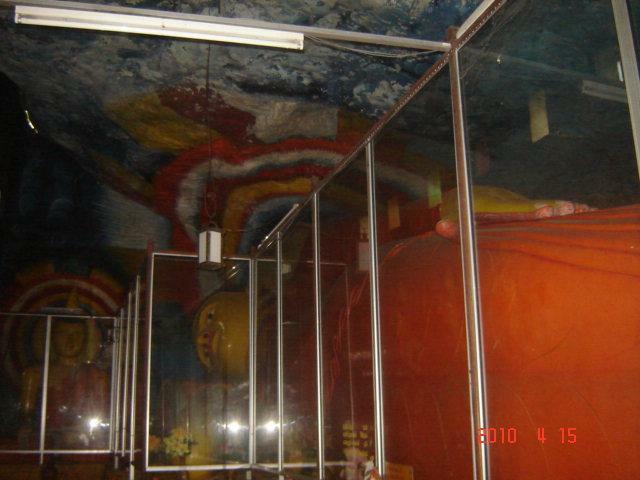 The largest one is dedicated to the main temple, where Buddha statues are located. These statues seems build recently. The roof of this cave looks as the sky. 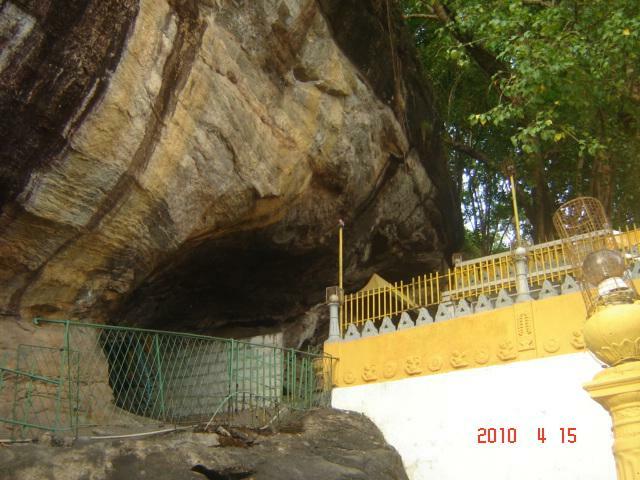 The Vishnu Katharagama Dewalaya is also located in this main cave. 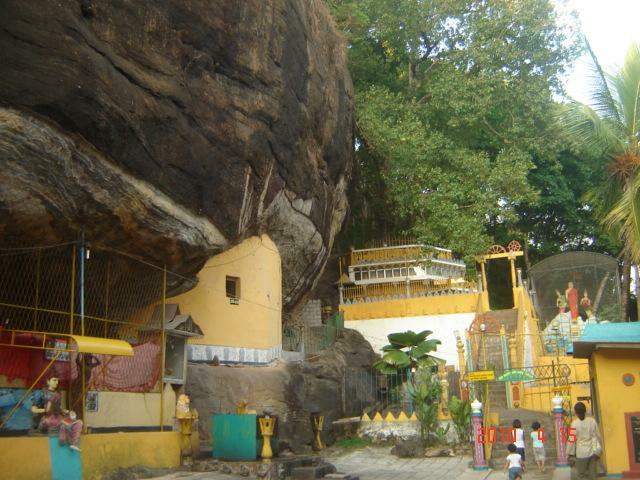 There is another large cave dedicated for 'Patthini Devalaya'. All caves have 'kataram', a small cut on the cave top to prevent the rain water flow down and drop in the caves. The 'Boo Tree' is located towards the corner of the temple garden. You have to climb several steps for that. 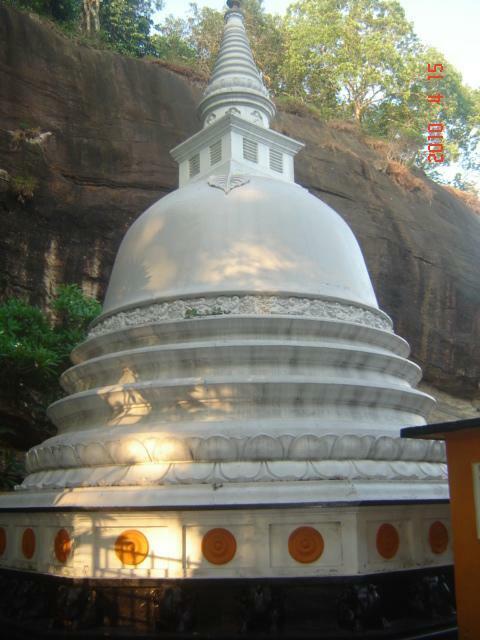 Dagaba (pagoda) is located at one side of the temple and its few feet above the main temple cave. Kotathota Dagaba is small in size. There are many new additions done in recent past. The 'Devalaya' seems very popular in this area also. This new additions has degraded the archaeological view of the place. You can see a rocky land beyond the temple premises and there were some instructions asking not to go beyond that point. Rock mining happening in the nearby place, you can see the site clearly from the temple. Authorities should looking to this matter, because there can be a harm to this archaeological site because if it.